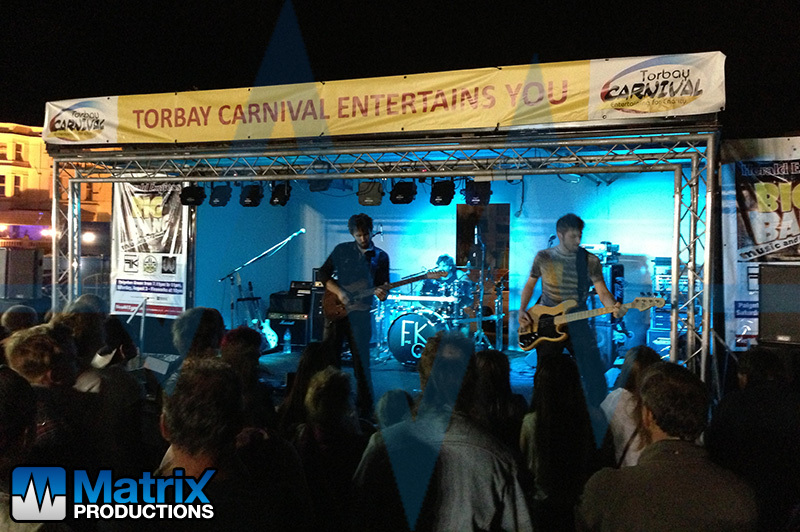 One of a handful of smaller festivals that we are associated with, the Herald Express Big Bang is the event which brings the Torbay Carnival to a close each year. 2013 was the second year Matrix Productions were asked to provide production services for the event. We provided a Nexo PS10R2 system for FOH and Turbosound TXD-12mx monitors, and control was a Soundcraft Si Expression 1 with digital multicore and remote iPad control for adjusting monitor settings. On stage were 3 acts – The Stone Angels, Owen Penrice & headliners Firekind. The event is growing each year, and we’re there to help them grow and hopefully become a significant event in the Torbay & Paignton calendar.